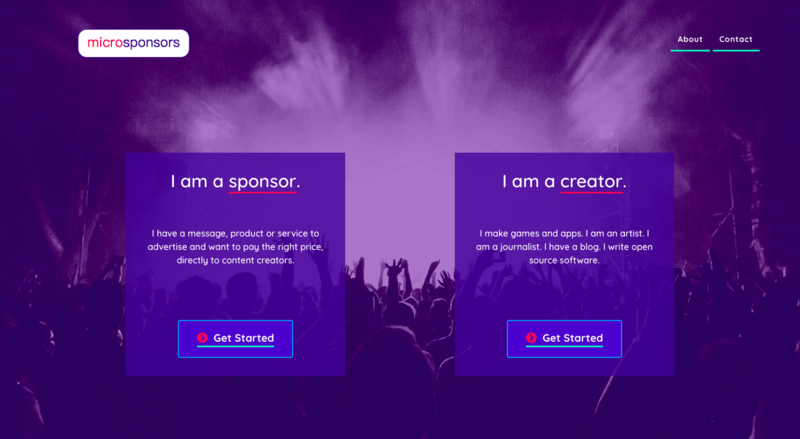 Content creators will be able to easily deploy the suite of Microsponsors tools to help them earn crypto for their work. Cryptocurrency makes it efficient to send small payments to content creators. Bidding in an auction-style marketplace helps content creators get the right price for ad slots. Peer-to-peer marketplaces help creators build community with sponsors. 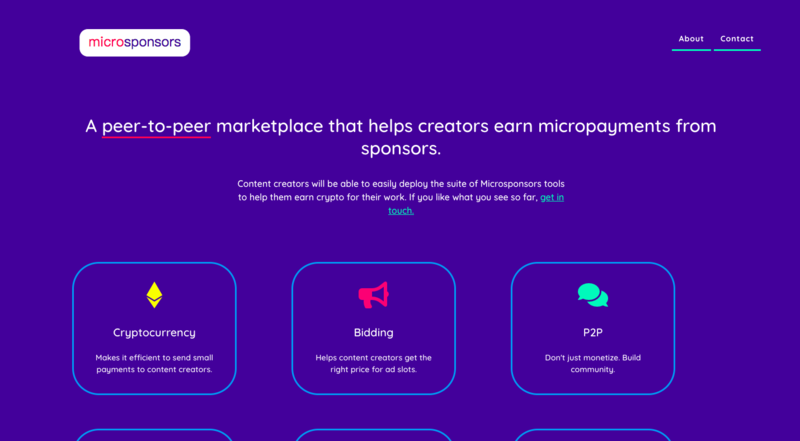 Microsponsors is designed to protect everyone's privacy. It will be transparent and verifiable, backed by distributed ledger technology.